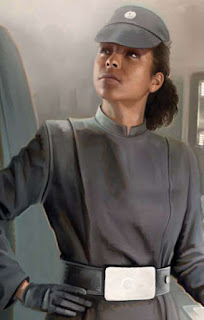 This story happened to Maz Thur who stayed in Takodana. Any relation to Maz Kanata, you ask? We don't know. Anyway, Maz Thur had a daughter, Rae Sloan who at the age of 30 was named captain of the Star Destroyer Ultimatum and had risen to the rank of admiral. Maz Thur was concerned in finding a mate for Rae Sloan. Rae Sloan held a high position and men felt somewhat inferior to her (this never changes!). 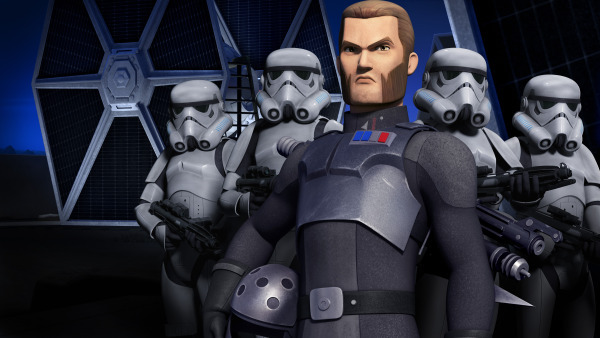 Suddenly a Random Woman approached Maz Thur and recommended Kallus, an officer from a good, middle-class family. "They are so compatible!" cried Random Woman who arranged for a meeting between Rae Sloan and Kallus. Rae Sloan being the dutiful daughter let her mother make the decision. She trusted Maz Thur's judgment. Maz Thur, after meeting Kallus' family and upon Random Woman's urgings, finally relented. Rae Sloan and Kallus got married. And all seemed rosy, or did it? Rae Sloan filed for divorce after many years of marriage. Reason being? Kallus had always preferred the company of his male partners. Wait a minute, did Kallus have HIV AIDS? And worst, did he infect Rae Sloan? Mon Dieu! And the worst part was that Kallus' family knew about his sexual tendency, yet they wanted to marry him off to 'cure' him of his inclinations. Maz Thur suffered from a stroke when she found this out. Rae Sloan never blamed her mother for her failed marriage. And Random Woman just disappeared. *Food for thought: If Kallus was so good, then, how come none of the high society folks whom his family mingled with, wanted Kallus to marry their daughters? Cassian, remember Father Sidious mingled with the people from the Temple of the First Order... yet no one from the congregation wanted to marry his daughter.